In a recent report of current industrial and logistics trends released by the CBRE, the prevailing theme among U.S. Tenants and Landlords is that of shrinking available space. While this should come as no surprise to those within the logistics community, the rate at which warehouse vacancy is dwindling is far outpacing the increase in new construction (new supply trails leasing demand by 1.5 to 1). This puts 3PLs in a predicament, but also provides opportunities for those who can maximize their available footprint. 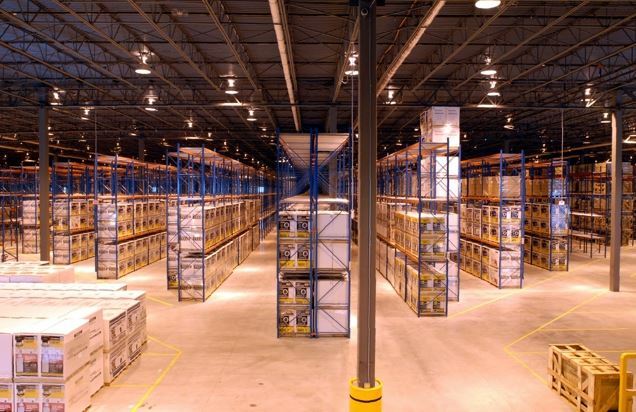 Re-imagining available space is not just a priority for the 3PL, but also an advantage for those customers that rely on their 3PLs ability to adapt and offer more storage as both parties look toward the future. The more space you have to offer clients, the more opportunities can come your way. To create a flexible, space-efficient operation that lets you adapt to changing needs and customer demands, you must look at the various ways you can enhance your existing warehouse infrastructure. Compared to the cost of a new building, these industrial platforms are a bargain – they don’t consume new utilities, they don’t require an expansion, and they are much easier to code in terms of local regulations. Properly designed mezzanines can be used for anything from bulk storage areas, to process areas, to value-added service areas (VAS), extending the lifespan of an existing location for years by offering improved space utilization. The idea is to double stack space in a critical area, such as a high-density order picking function where many pick slots are condensed into a relatively small footprint. You can also place offices, processing areas, and other functions on mezzanines. Accessibility is relatively easy through spiral conveyors, VRCs (vertical lifts), incline conveyors, etc. Empty vertical space are prime areas for increased expansion and storage through elevated rack height. By taking advantage of what’s overhead, you can see significant results in your warehouse storage. Wasting a bay or two above the top level of your rack can add scores or hundreds of pallet positions to your facility. Reducing aisle widths (if possible) will help to increase storage density in your warehouse. 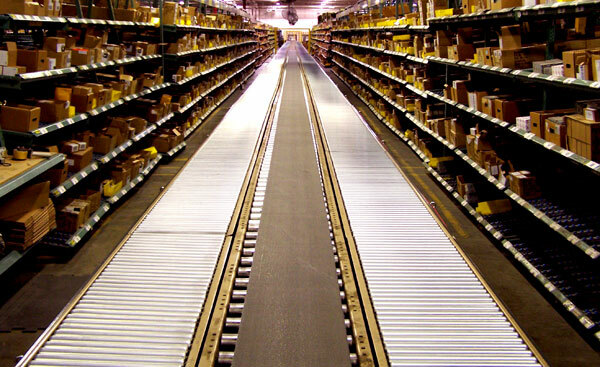 Aisle width decisions must attempt to achieve the best combination of productivity, space utilization, flexibility, safety, and equipment costs for the specific application, but if done correctly can yield additional warehouse storage and possibly save your process time as well. Eschew the “one size fits all” approach to storage containers, and cut the wasted space that could be costing you needed space. A Guide to Shelving Types and Specifications: What type of shelving fits your load and application? Modular/dividable Drawers vs. Static Shelving: When do you need to outfit shelves with drawer modules? To truly maximize efficiency of existing space and increase storage capacity for your location, the warehouse redesign process can yield very positive results. While the most intense avenue to increase your warehouse storage, taking a step back and looking at the big picture within your structure can help showcase multiple areas in need of solutions. These improvements can redefine your warehouse and provide much-needed space for more storage and more clients. We can help you optimize the size and design of your facility for better organization and high-density, secure storage.